– First you need to know that I’m a pretty big fan of the stage musical, which I first saw live when I was only 11. It was performed by a broadway touring group at the Johnny Mercer theater in Savannah GA. I’ve seen it live one more time since and have seen the PBS broadcast of the 25th anniversary numerous times. I have been a fan for most of the past two decades. – I’m also a big fan of the 1998 film adaption starring Liam Neeson and Geoffrey Rush. No, it’s not the musical, but to me it caught the essence of the story in a beautifully acted and wonderfully shot film. – As for the 2012 film: The performances by the actors were excellent, especially due to the fact that the music was being captured live on the set at the time of the shooting: something that is almost never been done for a movie musical. As a result the performance controlled the pace of the music, not the other way around. This resulted in some really powerful moments. – I love the story of Les Mis more than any adaptation of it, so as long as any given adaptation stays true to the story I will like ultimately. As this edition stayed entirely true to the story, I accept it into the pantheon of interpretations there have been of this musical. I especially love that they didn’t skimp on the Gospel message which is clearly contained in the plot. – Casting. 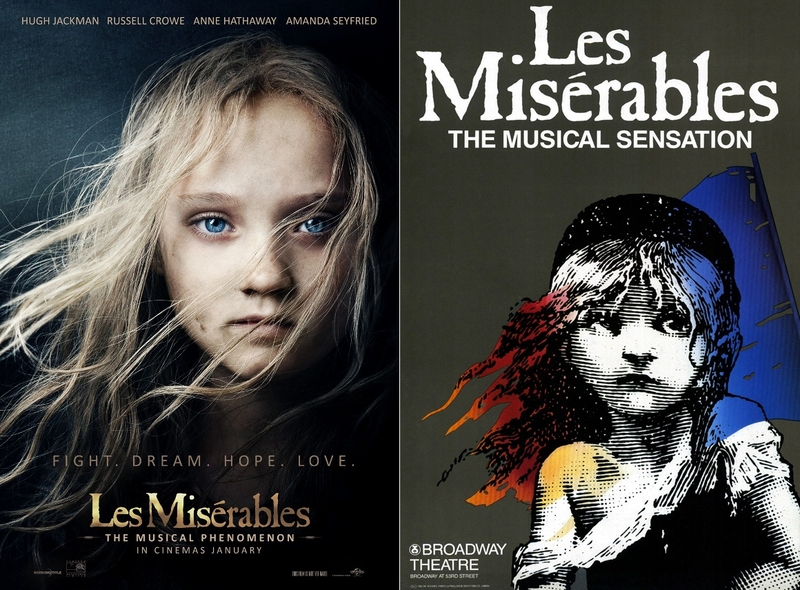 Hugh Jackman was a great Valjean and… well I could go down the list. If you could get used to Russell Crowe’s singing style then there wasn’t really a weak one in the bunch and most of them were very good. – There were also shots where they had chosen the musical performance over perfection. In the scene where Valjean is buying Cosette’s freedom you can catch her looking right into the camera for a few seconds while Thenardier grabs her and begins to haggle. There are also a few shots where you can tell that the Steadicam rig bumped into something mid-movement and the frame shakes randomly. This is perhaps most noticeable during the scene after the Bishop frees Valjean; when Jackman is circumambulating (again within his ten square feet) the bishop’s chapel. I loved it, even if there were some thing I didn’t like about it. It’s such an incredibly powerful story, heavy with theological themes – especially surrounding grace. I would really recommend seeing it – it will tug at your heartstrings, and if you don’t find yourself crying by the ending then you might be an evil robot sent to destroy us. Just a heads up.